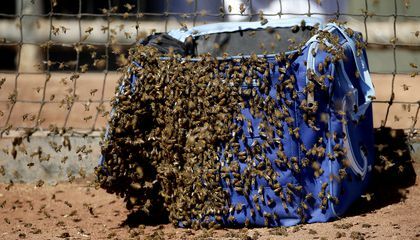 A plastic bag was an effective solution because it got the bees away from the field without harming them in anyway and letting the game resume. The plastic bag was important because it didn't harm the player nor the bees. The plastic bag was a effective solution because it got the bees away without killing them. 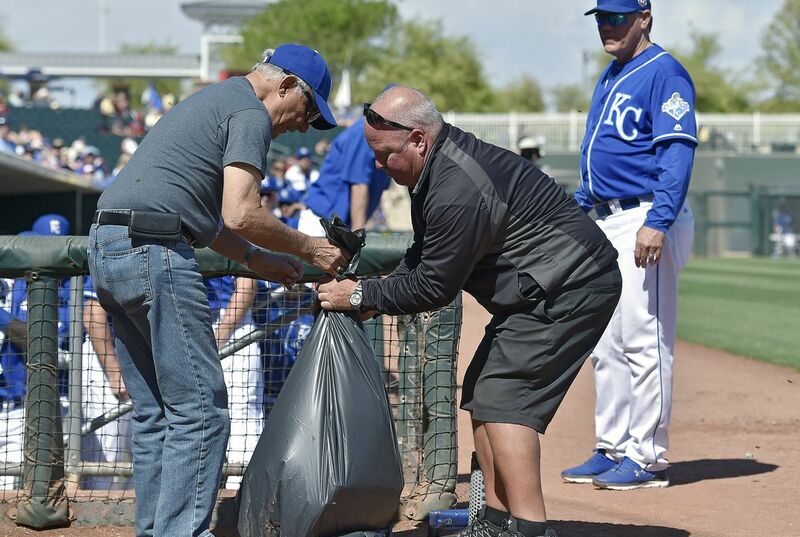 The plastic bag was a very effective solution because the plastic bag removed the bees from the field without hurting or killing any of the bees, meaning the game could continue and no one got hurt. The plastic bag was an effective solution because the bag didn't harm the bees, and it got the bees out of the park safely and back into the wild. The plastic bag was an effective solution because this didn't physically harm the bees, it just removed them before they could have been possibly exterminated. There aren't enough bees around anymore. We can't go exterminating them left and right, now can we? The plastic bag was a effective solution because it calmed the bees without killing them. The plastic bag was an effective solution because instead of having the bees killed they managed to get the bees away from the people.